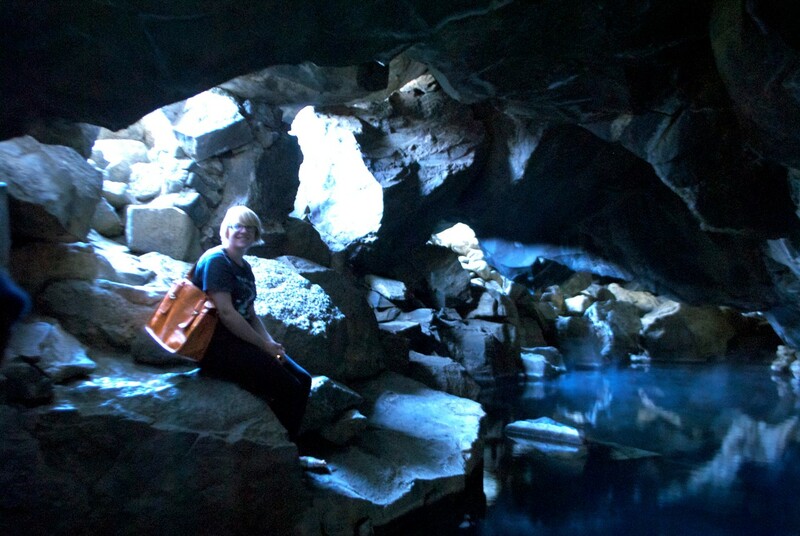 Myvatn, an area in the the Central Northern region of Iceland, is absolutely brimming with awesome things to do. It’s hard to know where to begin! Roughly 6 hours from Reykjavik, Myvatn certainly has more than you can jam in to even the most action packed of 3 days, and deserves a proper pitstop from Route 1 to do it justice. After living there for a idyllic Summer, I still didn’t see everything! But, I had a pretty good go and found some incredible things to see and do along the way. 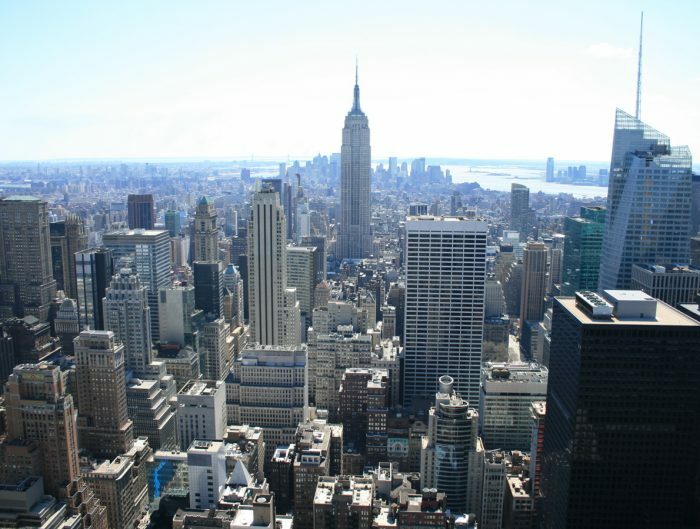 Here’s my top 10 picks.. 7 of which are TOTALLY FREE to visit! There’s plenty of lava in Iceland, make no mistake. 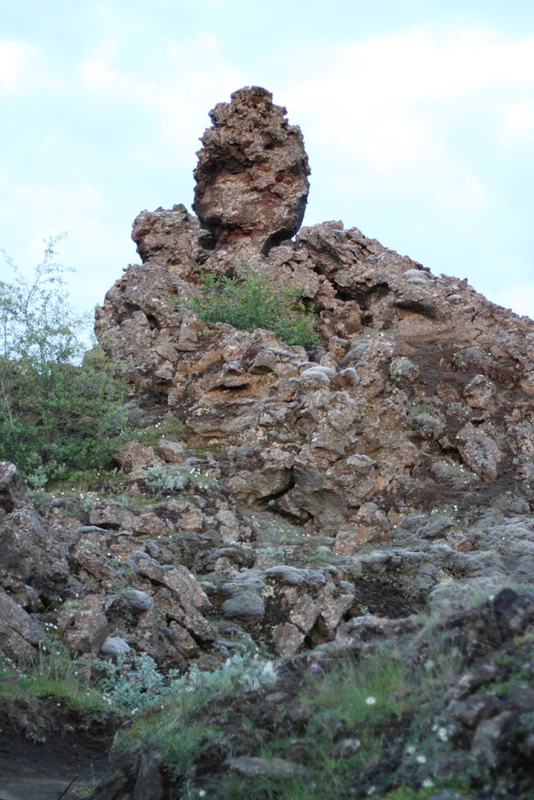 But, Dimmuborgir offers some of the most unusual lava formations in the world, with an easy and accessible pathway to explore the most interesting formations. It’s a unique and pretty meander, with some views of Myvatn. 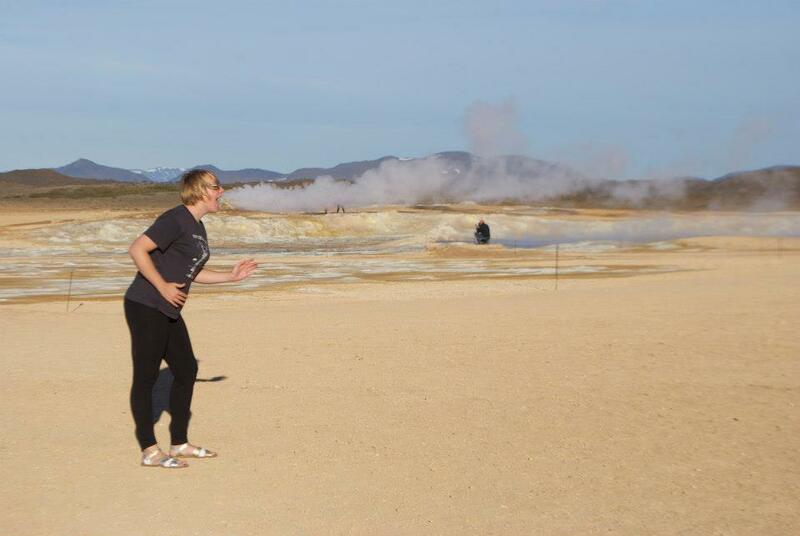 Phoe Travels having fun at Hverir with sulphur steam! I love a geothermal area. Rarely happier than wiping the sulphur smoke out of my eyes, Hverir is just awesome. Park up and wander about! Ogle at the bubbling mud, amazing colours and have a laugh with the plumes of sulphur billowing from the earths surface. and take silly photos like the one above. Park at the base and start your scramble to the top. It can be deceptively wind-free until the reach the peak, to begin the perimeter walk of this dormant volcano. So, be careful, as on very windy days it’s literally impossible to walk around. I thought this was a joke until I walked up one day and saw a bloke literally clinging to a rock, so (rightfully) afraid he was of being blown away. Either way, great views of Myvatn! And who doesn’t want to say they climbed a volcano?! I keep mentioning these, but it’s because they’re awesome. Far better than the Blue Lagoon and cheaper. 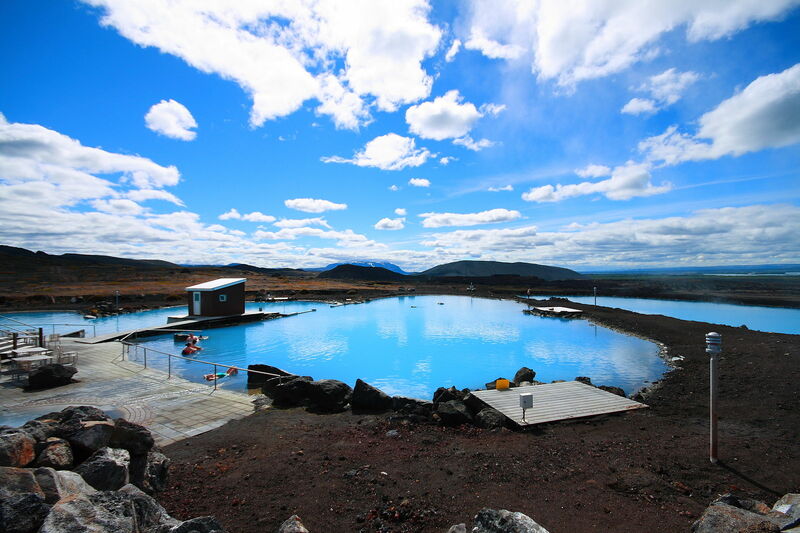 You’d be absolutely mental to go to Myvatn and not take a dip in the beautiful baths. Glorious, relaxing and warm! No, I didn’t sit on my keyboard, that’s really what it’s called (thank goodness for copy and paste). More commonly known as “The Turf House Museum“, this is a lovely spot outside of Myvatn lakes, towards Husavik. You can’t leave Iceland without visiting at least one ‘Folk Museum’, and I’d highly recommend this one in particular. 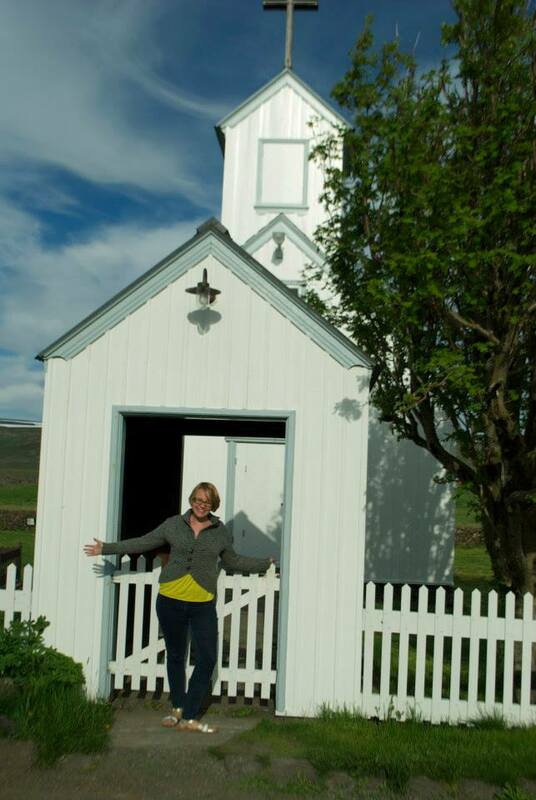 Explore the incredible architecture of the mid-1800’s turf houses, learn how locals survived in such hostile conditions, and pop in to the church opposite to marvel at how sweet an Icelandic style church really is. Lastly, look at the rune inscribed headstones in the graveyard that date this site back to the Saga Era of Iceland. 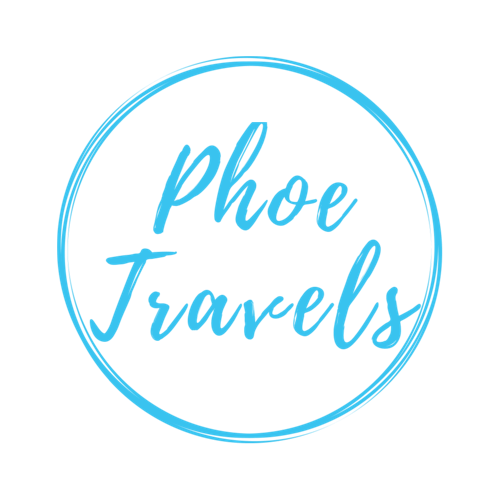 Phoe Travels perch on a rock in the ‘Jon Snow’ cave! Famed for being a romantic lair for Jon Snow in Game of Thrones (S03E05), this cave is worth a visit whether you’re a GoT fan or not. It’s beautiful and the water feeding in to the pools is usually very hot and unbelievably clear. There are signs saying no swimming, which should be heeded due to temperature this water can get up to – think human sous-vide! Scramble in the narrow entrance to perch on a rock for a top photo opportunity. 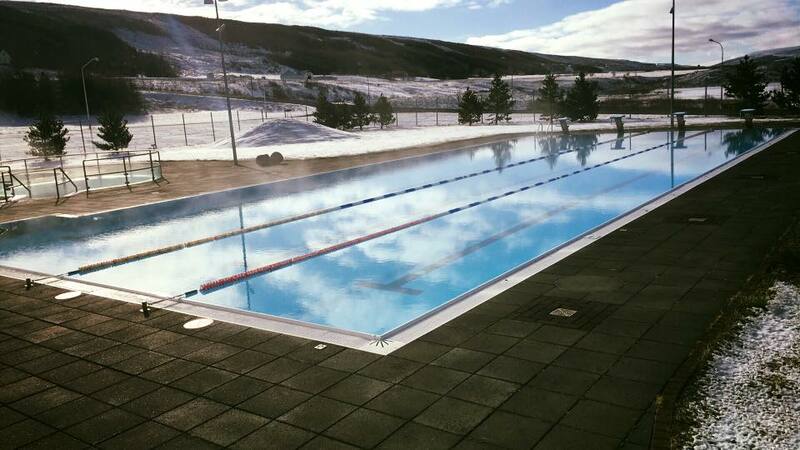 For a more local swimming experience, try the local Laugar pool. With a temperate, geothermal fed, 25 meter pool and 2 hot tubs, it’s the perfect spot to relax away from the usual tourist crowds. The pools are set outside, overlooking some beautiful green hills (see above! ), and it boasts modern facilitates. Being a local joint, it’s a snip of a cost of the Myvatn Nature Baths. 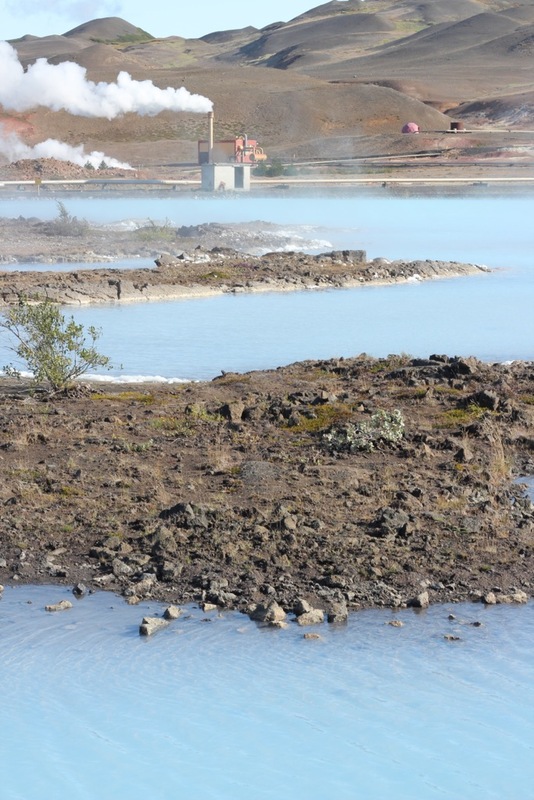 Casually in the centre of the Myvatn area is Bjarnarflag Power Station. The main reason to stop on the roadside for this one, is the incredibly blue coloured pools. Sounds a bit naff, but it’s quite a breathtaking sight! Just don’t get too close to the water, it’s crazy hot and definitely not for swimming! 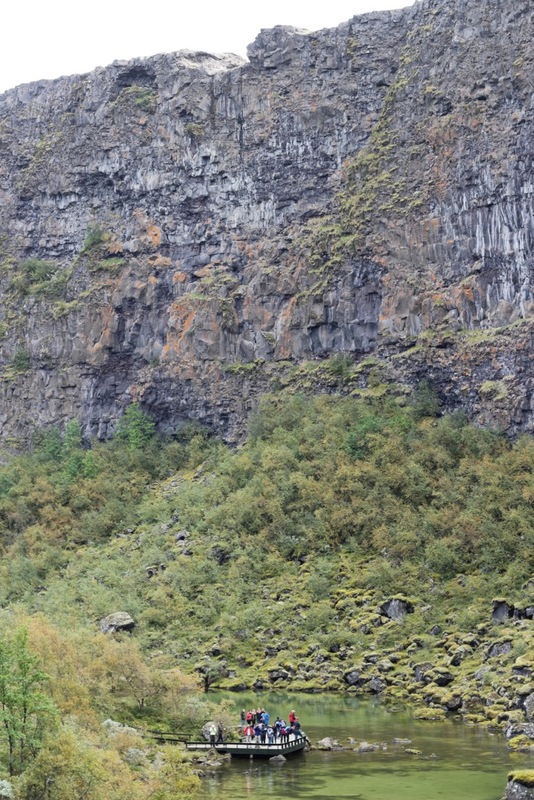 A somewhat surprisingly tucked-away secret, Asbyrgi is one of the few places in Iceland you will actually see something constituting as a forest, since most trees can’t survive the wind. A curious, U-shaped canyon that was carved by dramatic glacial flooding, it’s a surreal wind-protected slice of idyllic nature with the greatest “duck pond” you’ll see in your life. There’s several hikes to do, if you’re so inclined, but it’s worth at least a stroll from the car park. 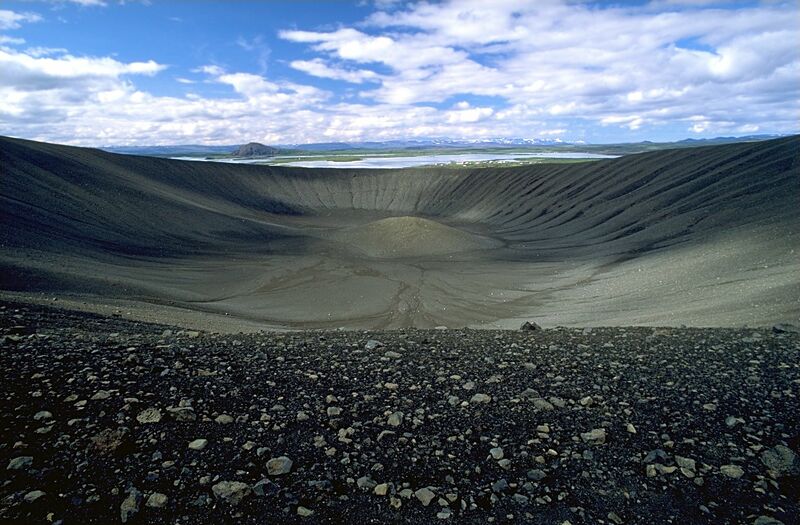 Asbyrgi is North East of Myvatn, an hour and a half drive that can be done in a loop with stops at Dettifoss (unpaved road 862 or paved 864) or Husavik (road 85 & 87) on the way. 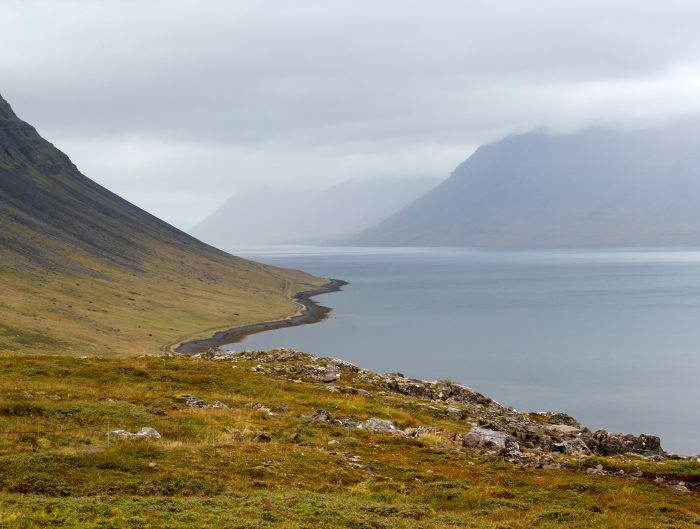 The easiest way to see everything is start from Myvatn, heading north to Husavik, with an optional stop at NUMBER FIVE. 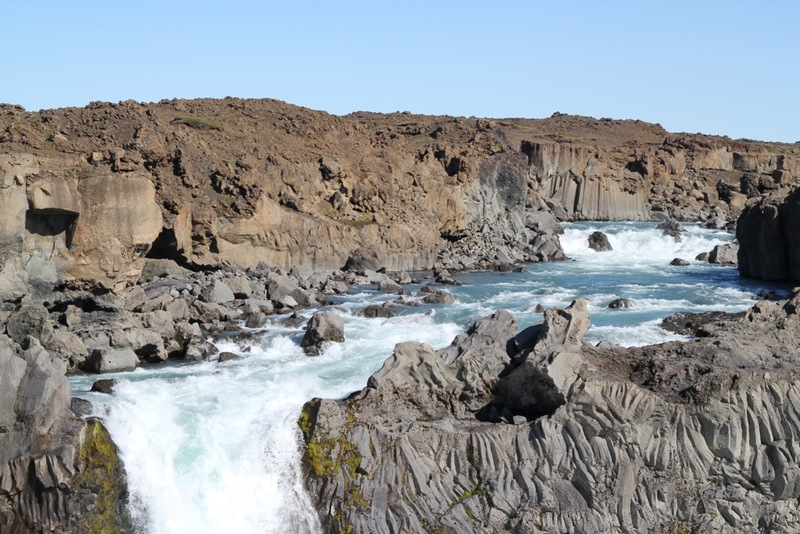 Head back south, stopping at Dettifoss on the more popular and paved road side on Route 864. There’s several absolutely awesome waterfalls in the Myvatn area. 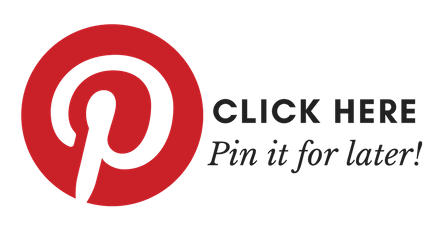 They’re all worth seeing (and free – of course! ), but here’s a rundown of what each ‘foss’ has to offer..
A gravelly 4×4 trek south of Myvatn, it is well worth the effort. Aldeyjarfoss is a geologists dream of incredible and unique rock formations. Not only is the drive through an incredibly scenic valley, the waterfall its self showcases it’s unique carving through the rock, as Aldeyjarfoss falls in to a curvy river. 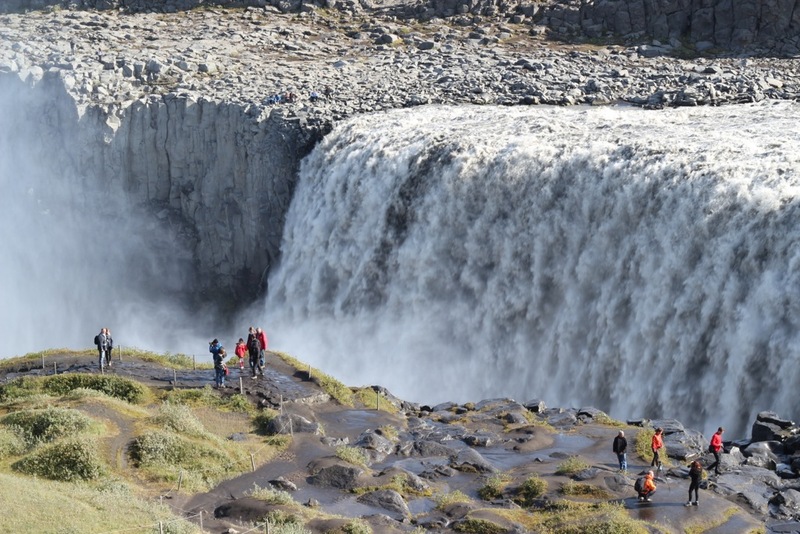 Set slightly north east of Myvatn, Dettifoss is Europe’s most powerful waterfall and has to be seen to be believed. 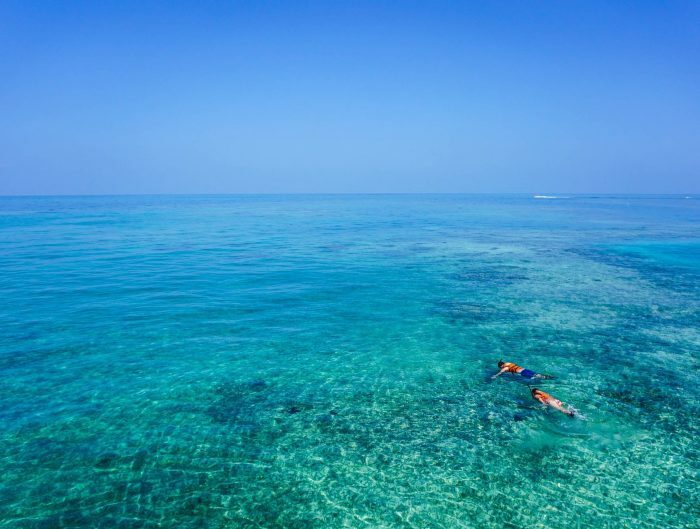 The sheer volume of water is so great, it can fill your full range of vision and create a dizzying optical illusion. Accessed from two sides, east (road 862) is paved and usually open year round, west (road 864) is gravel and attract less tourists. There’s also a bonus waterfall of Selfoss a short walk up stream from east Dettifoss. If you’re really dedicated, drive both roads and get all angles, like I did! Yet another ludicrously impressive waterfall. Conveniently positioned on the roadside of Route 1, you can easily park up and walk around perimeter. Godafoss should be viewed from as many angles as possible, to really appreciate it. It’s especially stunning as you head further east and look back down the hill, to see the way Godafoss has carved its self out of the valley. Unreal. Why is Mývatn, Myvatn? Well, believe it or not, Myvatn refers to the name of the lake in the centre of this area. Somehow or another, everything in the vicinity of said lake is known colloquially as Myvatn. And what does Myvatn mean in Icelandic, I hear you cry? Well, I can attest it’s very aptly named: ‘Mý’, meaning “midge” and ‘vatn’ meaning “Lake”. Midge Lake. Visit in Summer, and you’ll quickly realise it lives up to the name! ON THE WAY.. If heading to Myvatn from the west, don’t miss a stop at the fabulous town of Akuryeri. The main bustling metropolis aside from Reykjavik, it’s a real beauty, nestled in the mountains.